The best tech gift I ever received has to be my very first cell phone from my parents in the summer of 1999 right before my senior year of high school. The Qualcomm QCP 860, on what was then AirTouch Wireless (which eventually became Verizon Wireless). If you don’t recall Qualcomm phones, they started branding their phones not too long after the 860 was released as Kyocera phones. AirTouch and Verizon at the time didn’t offer many phones either, I think you could walk into a store and have a selection of five or six phones. The specs were remarkably paltry to today’s standards. Talk time was an impressive 2.5 hours, you could throw on an external battery to give an additional 3.5 hours of talk time for a whopping 6 hours. You could store up to 99 phone numbers, which when you compare it to today’s standards seems ridiculous. It didn’t have all the basics most phones have today (e.g., bluetooth, camera, GPS, ambient light sensor, gyroscopes). Certainly no 4G LTE, the extent of its network capacity was dual mode, analog or digital bands (WOW!). No fancy Retina or Super AMOLED displays just a monochrome LCD screen with up to 5 lines of text. 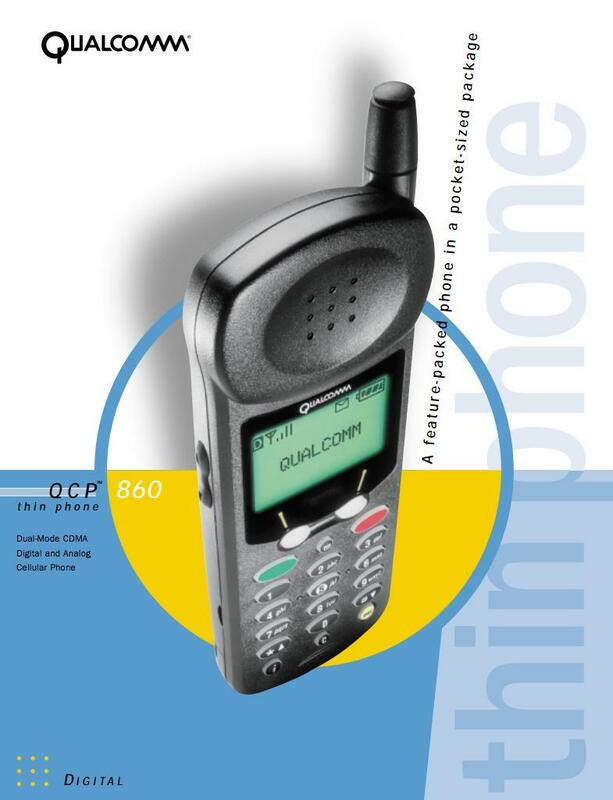 I believe the QCP 860 received and sent text messages and offered at least four different ringtones. It didn’t do much other than make phone calls. Despite all the things the phone didn’t do I LOVED it. It was my first cellphone, it helped me stay in contact with my family and friends especially since I used it during my first year in college. It also piqued my interest in mobile technology, I purchased a Palm Pilot not too long after that, then it snowballed to other gadgets (MP3 players, iPods, digital cameras, etc.). I consumed as much technology content I could find on the Internet and, in a way, led me to TechnoBuffalo.